Fiji Pearls head coach Kate Carpenter believes that she has a wonderful crop of athletes to work with to take Fiji forward at the 2015 World Netball Championship. Carpenter made the comments last Saturday as she marked one month on the job as the newly-appointed national coach by Netball Fiji. “They’re all very excited and why wouldn’t they be,”she said. “The WNC is very special. I’ve met up with each individual athlete and had a chat about not only their netball plans but their life plans as well and where they’re at. So we’ve got a really nice group of athletes who are all very excited and ready for the World Cup. “In terms of our plans, in the last month I have been out and about really just assessing where we’re at, not only with our top group but the also the group underneath. “We’ve got a really fantastic and robust programme planned both for the national group and also for our development athletes, coaches and officials. We’re starting at the end of this year and we’ll be going right through to next year. “It’s not necessarily 18 players though we’ll be building up around that for the World Cup team and it’s probably more a number around 21. We do have selection criteria in place but the thing that we’ve got to think about is the benchmark against the best. “So we’re looking at athletes who potentially could be on the court in August of next year. Some of the things that are really important are around physicality, around skills and technical knowledge, about their ability as well as their experience or their youth. “So there will be a mixture of both and it’s about their ability to commit to the programme. So it’s easy sometimes to just do a week of the national programme but as I said, the international programme planned for Fiji for next year is huge. Carpenter assured that those that didn’t make the initial cut would still be eligible and needed to remain committed as circumstances could always change. “Those athletes are still within our scope and in our program and they’re still in contact with me so they have the ability based on their work-on areas to come back into the squad. So there is flexibility around form and things will happen. 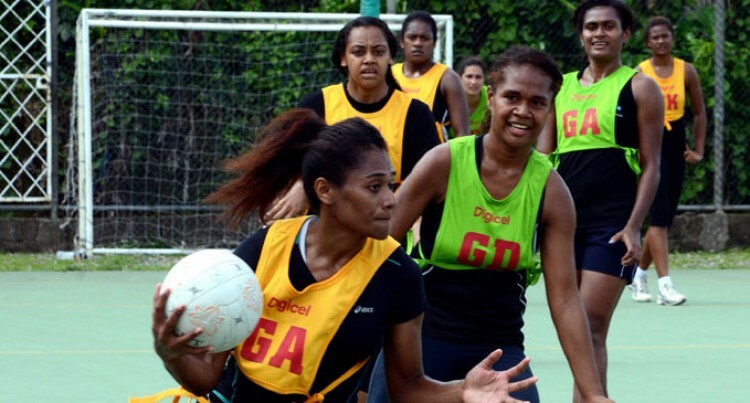 Trials are expected to be held today at the National Netball Centre in Laucala Bay as Carpenter and Netball Fiji begin assembling the Fiji Pearls for next year.